An SKS or AK isn't very useful without some ammo and a bit of training to fire it. Any good shooting instructor will tell you that you should put at least several magazines worth of ammunition through your firearm occasionally to maintain even a base level of proficiency. 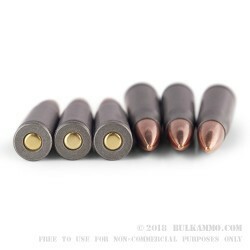 This can get expensive if you aren't careful, so to get the most ammo for your money, you should go with a cheap but reliable manufacturer like TULAMMO. This ammo is loaded with a 122 grain full metal jacket bullet, and is manufactured using a non-corrosive, Berdan primed, steel case. 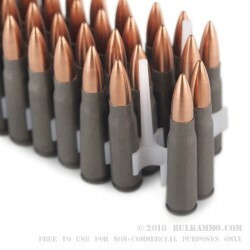 Steel cased ammo is a great value, but it is not reloadable. Reliable ammo, excellent shipping times. When I couldn't find any locally at a cheap price (wally), I ordered from here. I am very pleased with the reliability and expedient shipping. Although the ammo isn't exactly a bargain, I give it four stars for just being convenient and not overpriced like most gun stores. Q: Is this corrosive or non-corrosive? A: Hello Reno, This ammunition is loaded with non-corrosive components.